We usually never endorse products but this one we had to let our readers know about. 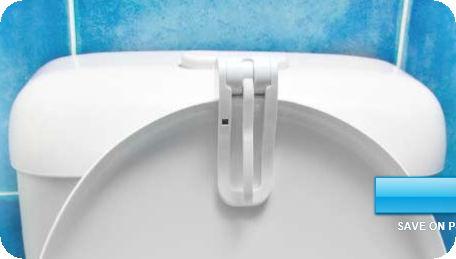 I cannot count how many times I have seen a toilet seat up at an open house or at an inspection and be treated to the sight of a seat left up and the indications that the resident has not cleaned the toilet in a while. Gross!!!! This product does not require an expensive toilet seat and is portable. I have one at home and when guest stay (that did not learn to put the seat down) or kids come to visit it is not even an issue about who left the seat up. No more cold shocks in the middle of the night for women and no more nagging for the men. Again we have no affiliation with this company but just thought we would pass on a good invention. This entry was posted in Cool Things and tagged auto toilet seat, close toilet seat, loomate, toilet seat up. Bookmark the permalink.